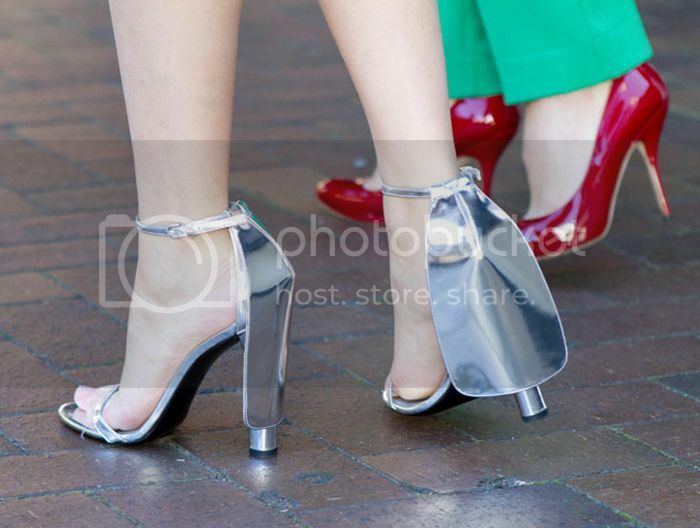 Day 4 of Mercedes Benz Fashion week saw me head to toe in Alexander Wang, very kindly borrowed from the gorgeous B.
I was thrilled to have my outfit captured by my favourite Australian street style photographer Lee Oliveira, as well as this killer shoe detail shot by Liz Mcleish. I'm so excited to soon share the short film I was involved in for the Toni & Guy 'Blogged & Bound' project. Check back Friday for your first look.